BALTIMORE, Maryland, November 6, 2018 – Synagro Technologies, Inc., the preeminent provider of biosolids and residuals solutions services in the United States since 1986, is pleased to announce that it received the Taft Community Garden’s (TCG) 2018 Friend of the Garden Award at the organization’s Fall Into Gardening Event on Saturday, October 20, 2018 at the TCG. Synagro’s Jamie Little, community engagement specialist, South Kern Compost Manufacturing Facility (SKCMF), was on hand to accept the award. “Our support of the TCG is part of Synagro’s annual commitment to the community from when the SKCMF was first established,” said Little. 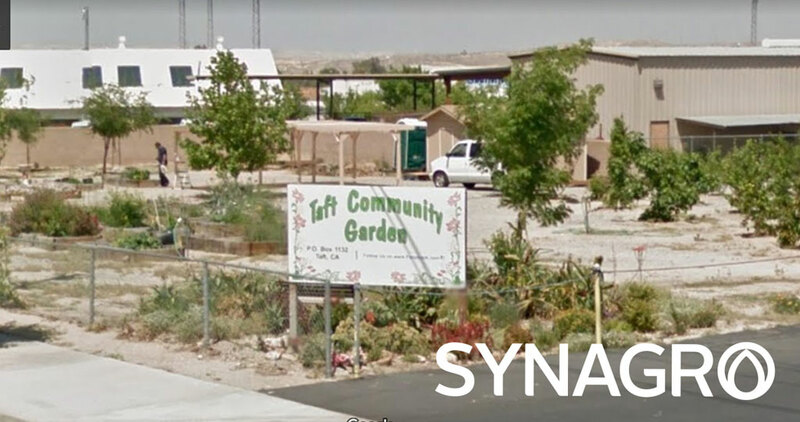 “We are honored to be recognized for supporting the TCG because its vision and mission aligns with our own and our value of servant leadership by providing the residents of Taft with an area to grow their own food in a safe, environmentally minded manner.